Lavender has been used for centuries in many different cultures. First it was collected from the wild in the Mediterranean region where it grew and later it was cultivated. Although there are 30 different species of lavender, and today more than 300 cultivars, Lavendula angustifolia (English lavender) was the most prominent kind. To a lesser extent Lavandula stoechas (Spanish lavender) was sometimes used. Today Lavandula x intermedia, a natural hybrid discovered in France in the 20th century, is grown extensively as well. The Romans called it lavender which may have come from the Latin verb “lavare” which means “to wash” or from the word “livendulo” which means “livid or bluish”. The Greeks referred to it as Nardus after the city of Naardus in Syria. People in India called it spikenard, which referred to the shape of its flowers. It is also mentioned in the Bible. Lavender was used in ancient Egypt for embalming and cosmetics. When the tomb of Tutankhamen was opened, jars filled with unguents containing something resembling lavender were found. These unguents were used only by the royal families and high priests in cosmetics, massage oils, and medicines. Wealthy men would put solid cones of this unguent on their heads, which, as it melted, covered their bodies with perfume. The Greeks learned much from the Egyptians regarding perfumes and the use of aromatics. The Greek physician Theophrastus (3rd century BC) wrote about the healing qualities of scents in his book “Concerning Odours”. Unlike the ancient Egyptians who anointed their heads, the Greek philosopher Diogenes preferred to anoint his feet instead saying, “When you anoint your head with perfume, it flies away in the air and birds only get the benefit of it, whilst if I rub it on my lower limbs it envelopes my whole body and gratefully ascends to my nose." Anacreon recommended that the breasts be anointed since it was said they were the seat of the heart. Ancient Romans recognized lavender for its healing and antiseptic qualities, for its usefulness in deterring insects, and used it in washing. The first written record of the healing uses of lavender appears to be that of the Greek military physician Dioscorides in 77 AD. Dioscordes, a Greek military physician under the Roman Emperor, Nero, collected medicinal plants from around the Mediterranean. He described these plants and provided information about their medical uses in a 5-volume work entitled De Materia Medica. Lavender, he noted, when taken internally relieved indigestion, headaches and sore throats. Externally, lavender could be used to clean wounds and burns or treat skin ailments. Roman soldiers took lavender on campaigns with them to dress war wounds. Lavender was strewn on the floor to sweeten the air, fumigate sick rooms and as incense for religious ceremonies. Pliny the Elder, a Greek writer and encyclopediast, noted its benefits in helping those with menstrual problems, upset stomachs, kidney disorders, jaundice, dropsy and treating insect bites. Romans, who perfumed themselves lavishly, used the aromatic oils to perfume their hair, their bodies, their clothes, their bed, their baths, their military flags, and the walls of their houses. One of their most famous scented oils was nardinum, which included lavender. Women hung lavender next to their beds to incite the passions. The Romans may have known about L pendunculata and L denata, but included them under the name L stoechas. The De Materia Medica served as the foundation for Arab physicians who read Syrian and Old Persian translations. The Arabs dominated the Mediterranean culture around the seventh century AD. The brought their medicine to Spain where it spread to the rest of Europe. Their greatest known physician, Abu Ali Sina, known as Avicenna (980 AD – 1037 AD) mentioned the healing uses of lavender. Some varieties of lavender where first thought to have been domesticated in Arabia. Lavender was little used in the Dark Ages except by monks and nuns. Monasteries preserved the knowledge of herbal lore in their physics gardens. They copied ancient manuscripts and recorded the medicinal effects of various plants. Under an edict of the Holy Roman Empire in 812 AD, they were charged with growing vegetables, medicinal plants, flowers and trees. Lavender was one of the herbs listed as being grown at Merton Abbey which was to become the center of lavender production in Mitcham, England. Lavender is first mentioned in 1301 in the records of Merton Prioiry as being used to raise money for King Edward I. Lavender experienced a renaissance in Tudor England. When Henry VIII dissolved the monasteries, lavender moved to domestic gardens. The ladies of the manor used lavender for all kinds of things. It was placed among linens, sewn into sweet bags, used to freshen the air, and mixed with beeswax to make furniture polish. Traditionally it was planted near the laundry room and linens and clothing were laid over the plants to dry while absorbing the fresh odor of lavender. It was also useful in repelling insects. Queen Elisabeth, who loved lavender, used it in tea to treat her frequent migraines and as a perfume. (Lavender is one of the oldest perfumes used in England.) She encouraged the development of lavender farms. Henrietta Marie, wife of King Charles I, who brought cosmetics to the English court, used lavender in perfumed soaps, potpourris, and water for washing and bathing. King Charles VI of France had his seat cushions stuffed with lavender. In the twelfth century Hildegard of Bingen noted that oil of lavender was effective in the treatment of head lice and fleas. 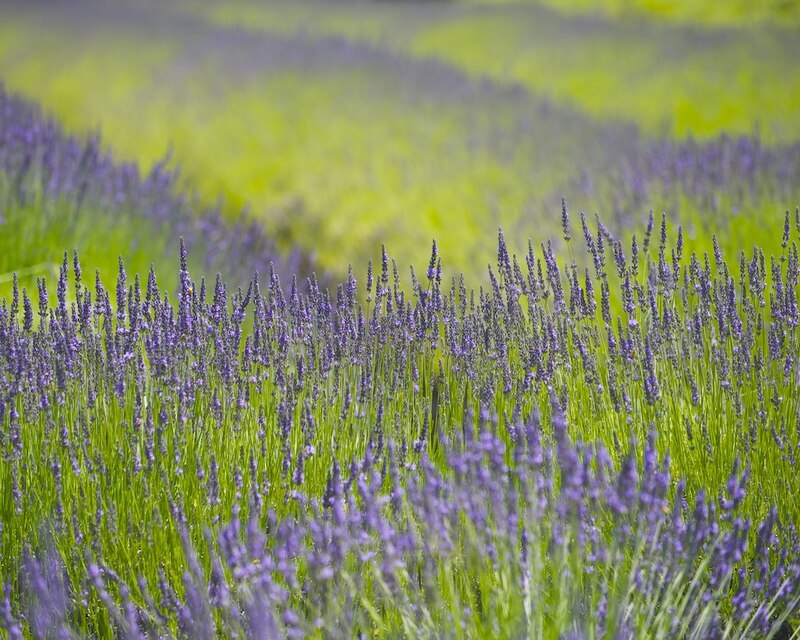 In 16th century France, lavender was regarded as an effective and reliable protection against infection. Glove makers who were licensed to perfume their wares with lavender often seemed to escape cholera. In the 17th century lavender was found in most herbals as a cure all. The great English herbalists Gerard, Parkinson and Culpepper all wrote about lavender. Great interest was generated and lavender street sellers appeared. Prices were high during the Great Plague of 1665 when lavender was thought to protect against this terrible disease. Grave robbers washed plague victim’s belongings in Four Thieves Vinegar, which contained lavender. Queen Victoria was a great enthusiast in the use of lavender. She appointed Miss Sarah Sprules “ Purvey of Lavender Essence to the Queen.” Lavender was very fashionable among the ladies. They bought it from street sellers who brought it up from Mitcham. 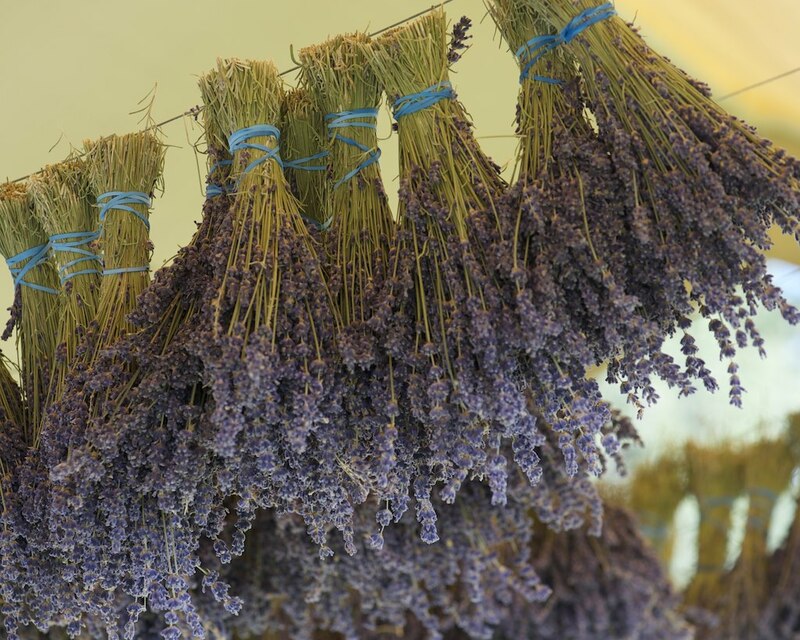 Fresh lavender was dried and put into muslin bags for wardrobes, used to wash walls and furniture and lavender bags were stuffed between sheets in linen presses. Lavender was used to repel inspects, treat lice, as a perfume and a potpourri, in furniture polish and soap and as a cure-all in household medicine cupboards. Smaller bags were made for young women to wear in their cleavage in hopes of attracting a suitor. Lavender appeared in the London Pharmacopeia. Its overuse contributed to its loss of popularity in the early 20th century when it became associated with old ladies. During Victorian times Mitcham, a London suburb, was the center of lavender oil production. English lavender products become known all over the world. Lavender production nearly died out because of the pressure of increasing land values in Mitcham, Wallington, and Carshalton. In the US, Shakers grew lavender commercially. It was popular in gift items and medicines. Rene Gattefosse, one of the founders of modern day aromatherapy, verified the healing and antiseptic qualities of lavender when he burned his hand badly while working in his lab. He used lavender oil; the pain stopped and the burn healed quickly with no infection or scarring. Lavender oil was used to dress war wounds during the World War I when medical antiseptics were in short supply. Provence is now the world’s largest lavender producing region. The Romans first brought it into the area. By the 20th century shepherds collected it to sell to perfumeries of Grasse. Just before World War I, perfumers and the French government saw lavender production as a means of keeping people from leaving the area so they cleared the almonds orchards and planted lavender. Other producers are Australia, Spain, Netherlands, Belgium, Germany, Bulgaria, Russia, , Japan, Canada, and the U.S.
Today lavender may be enjoyed simply for its wonderful fragrance but it also is used to induce sleep, ease stress and relieve depression. It can be used as a tea, to make compresses for dressing wounds and to apply to the forehead to relieve congestion on sinuses, headaches, hangovers, tiredness, tension and exhaustion and in many other ways. It is one of the most popular and versatile essential oils used in aromatherapy. After its long and interesting history, lavender is still a popular and special plant widely enjoyed and used in many ways all around the world in the 21st century.